I received a lovely letter this morning. The picture that came with it actually tells the whole story. 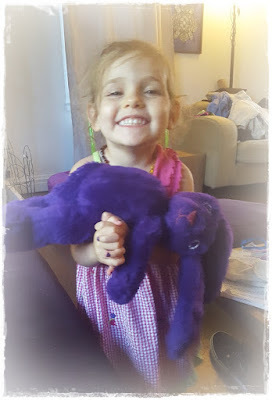 Naomi chose the Rowena Rabbit pattern to make a doll for her little girl. It was her first ever attempt at making a soft toy. She says the pattern and instructions were easy to work with and she's happy with the result. I think the purple Rowena looks stunning. 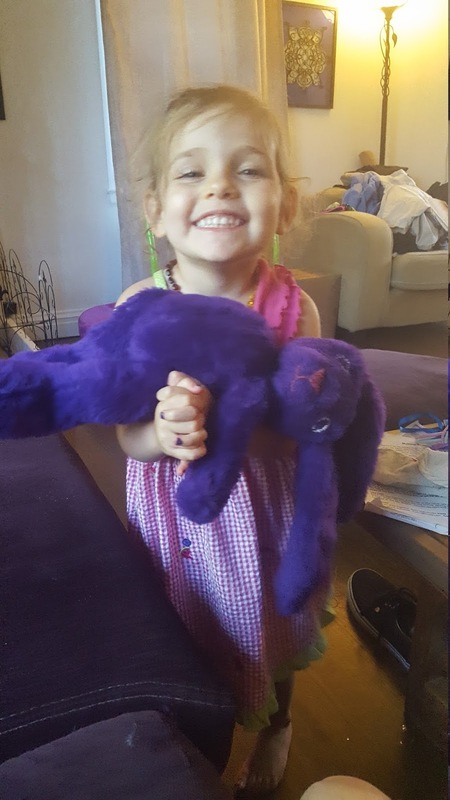 Most important of all is that her daughter adores the rabbit and has a new treasured friend. When I see pictures like this, I'm keenly reminded why I'm a toy designer and maker. It's not about stuff, it's about creating joy. Wonderful Megan! Love the little girl's happy face. Yes, isn't she just sweet and happy? Thank you for the kind words Barbara. I love my job!